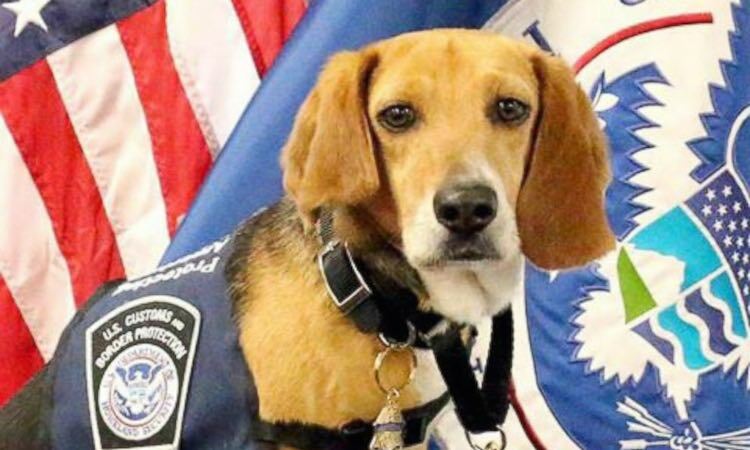 Murray the beagle was in sorry shape when he was first admitted to an animal rescue shelter – but now he’s strutting his stuff at his new job with the U.S. Customs and Border Protection. The pup arrived at the Northeast Georgia Animal Shelter with half of an ear and an injured tail. Though he was extremely nervous and unsocial, he was fostered by the Alcovy Pet Rescue where he was given the love and attention he needed to become more adoptable. But then his caretakers started to noticed Murray’s uncanny ability to sniff out food. The hound was always getting into cabinets and investigating scents and prying into compartments. In recognition of his skills, Murray was entered into a training program with the U.S. Department of Agriculture to develop his abilities. The pup graduated on March 15th started working at the Hartsfield-Jackson Atlanta International Airport customs department to sniff out illegal plants, food, and produce within the airport.